HARTENSTEIN POOR LLC recognizes that our families are the most important	things in life. The firm has an aggressive family law practice to handle	adoption, custody, divorce, elder care, probate and estate issues. Attorney	Eric Hartenstein has served as counsel in hundreds of domestic relations	cases. He has a repution for being a skilled negotiator who understands	family dynamics. HARTENSTEIN POOR LLC provides experienced, compassionate	and cost-effective advocacy for your most sensitive and private legal issues. Combining the firm’s business and property law expertise with substantial	family law experience, HARTENSTEIN POOR LLC is equipped to handle complicated	cases where personal and financial issues are interconnected and intertwined. Our firm works closely with a network of appraisers, accountants, tax	specialists and financial advisors to protect your interests and assets. 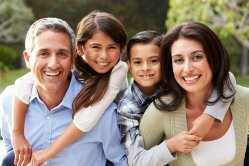 HARTENSTEIN POOR LLC protects the rights of your family members in times	of crisis or vulnerability. Attorney Eric Hartenstein is Kansas-registered	guardian ad litem with years of experience defending the rights of children	in disputed divorce and custody proceedings. Attorney Eric Hartenstein	has specialized experience and expertise representing the rights of grandparents	and family members in contested divorce and custody battles. HARTENSTEIN POOR LLC handles trusts, guardianships and conservatorships	to provide for the needs of minor, disabled and elderly family members. We provide additional elder care legal services such as living wills,	powers of attorney and government resource planning involving SSI, Medicare	and Medicaid. Our attorneys can assist you with your estate planning needs. HARTENSTEIN	POOR LLC specializes in serving clients with business, agribusiness or	property interests. Estate plans for business families must address the	dual, and sometimes conflicting, interests of assuring business continuity	while accommodating for the needs of heirs who are not directly involved	in the enterprise. HARTENSTEIN POOR LLC handles all aspects of probate proceedings and estate	administration, including contests and probate litigation. HARTENSTEIN	POOR LLC can provide the solutions that you need to plan for your retirement	and preserve your legacy.